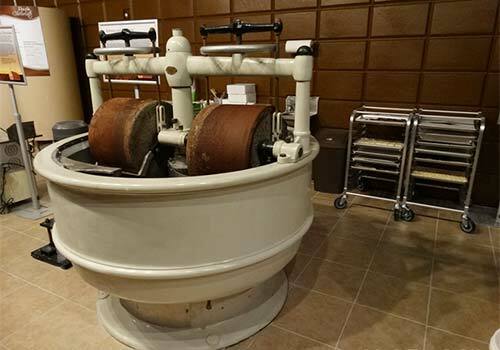 A fully interactive factory adventure tour, Chocolate Kingdom offers an immersive experience that explores the making of chocolate from bean to bar. 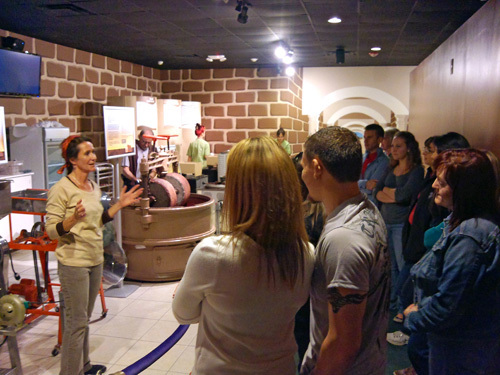 The Factory Adventure Tours let guests journey along with a handsome prince and his dragon through the Cacao Tree Greenhouse, the Mystical River of Chocolate, a fascinating chocolate museum and a micro chocolate factory that uses old-world machinery. 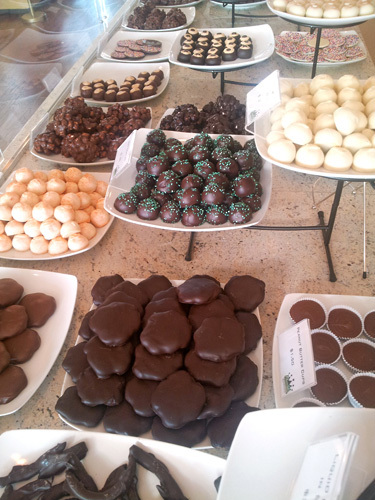 Get the personal customized chocolate bar; this is an awesome experience. 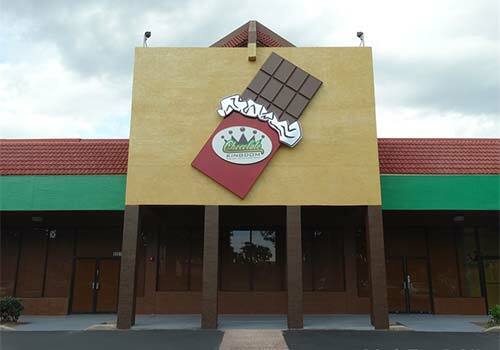 Located adjacent to Fun Spot Theme Park in Kissimmee and Old Town Kissimmee and on International Drive, close to Orange County Convention Center. 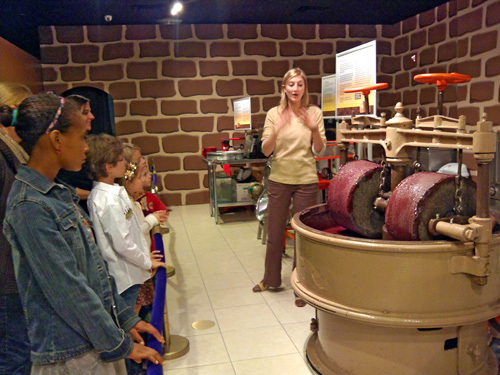 Tour guides are very knowledgeable and entertaining. 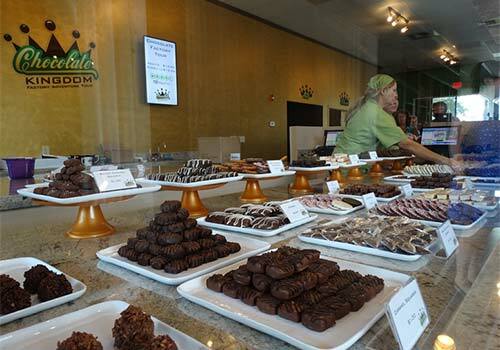 Ticket is valid at either of their two locations in Orlando or Kissimmee, Florida. 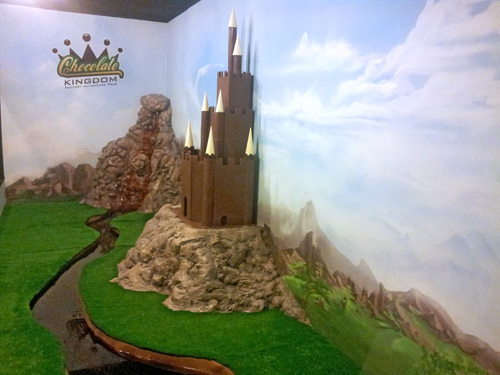 With an opportunity to create a customized chocolate bar, Chocolate Kingdom is the most unique chocolate experience in North America and will inspire and amaze chocoholics of all ages. Factory Tours begin at 11:00 AM and are scheduled every hour on the hour until 5:00 PM. Tours last approximately 45 minutes. 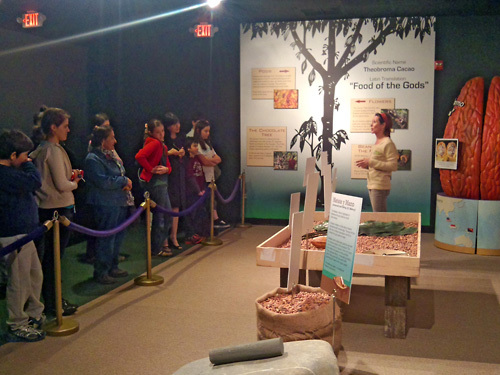 Tours begin at 11:00 AM and operate every hour, on the hour until 5:00 PM. Tours are approximately 45 minutes long. Can I personalize a chocolate bar? Of course. 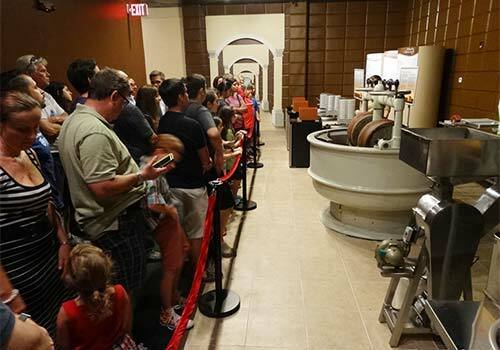 For an additional fee, tour guests can personalize their very own chocolate bar. Can my children come on the tour? Absolutely. The tour is suitable for all ages.